Dress up for your day time festivities in this striped shirt dress! 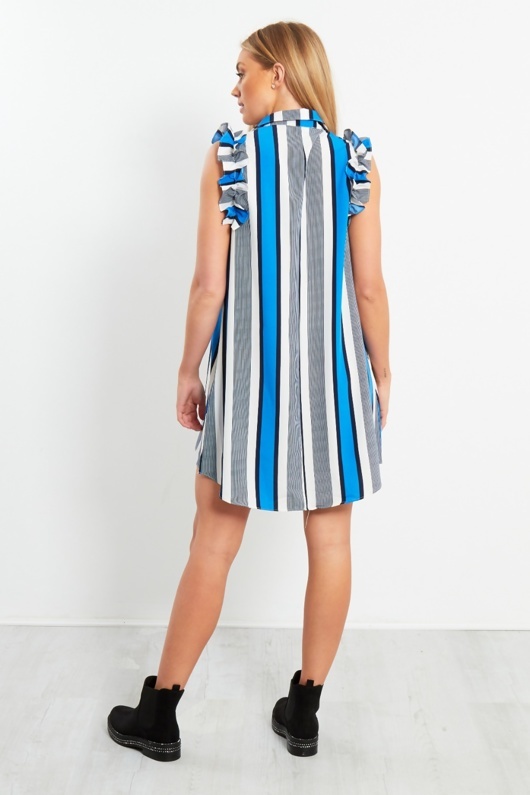 Designed with rich blue stripes this dress features ruffles and a button up neck. Matches perfectly with some boots!